After a careful and thorough assessment of your home care needs, A Loving Heart Home Care, LLC will design a plan of care that covers inter-disciplinary aspects. We know that you may have questions about home care and how it can be adapted to your unique needs at home. 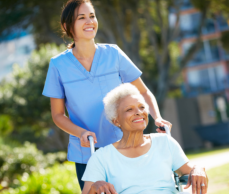 Take comfort that when you entrust A Loving Heart Home Care, LLC with your health, you will be given the personalized attention and safety supervision that you deserve. Let’s talk about your home care options today. Cal us at 314-761-9219.